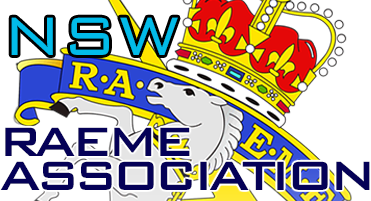 Welcome to the web site of the Royal Australian Electrical and Mechanical Engineers (RAEME) Association New South Wales Inc. Our Association became incorporated on the 19th July 1994. Our main aim is to preserve the memory of service comrades, maintain the fellowship between current and past serving members of the RAEME Corps, and to promote the welfare of our members and their dependants. Entry is by ticket only as we have exclusive use of the room.